This holiday season there is a lot we can do to help those in need in the Tulsa, Ok area. Among the different types of charities there are a number of food drives that need our help so they can provide food for the less fortunate. There are so many different opportunities to give back to our community and giving the people who need our help most is one of the best ways to do so. 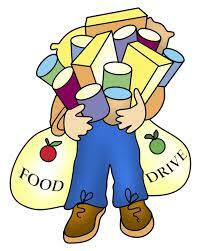 This season there is an abundance of business’s who are helping to make those in need a little less hungry. Sprouts, The Community Food Bank of Eastern Oklahoma, and many more are participating in some kind of way to make this happen. Needless to say, this holiday season, make sure you reach out and help those who are in need in our community.